Perched 61 floors above the city on the roof of the sultry Banyan Tree Hotel, Vertigo and its Moon Bar are tops for great views. 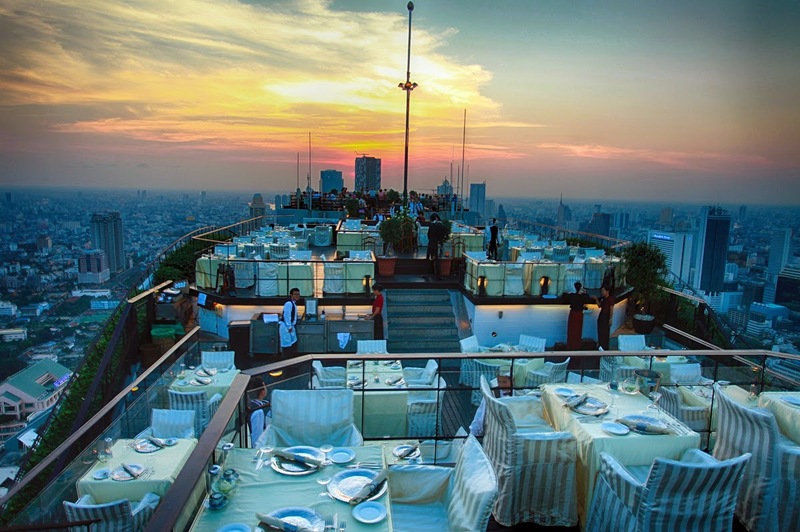 Bangkok's cityscape, the winding Chao Praya river and the soccer ball sun sinking below the horizon are best enjoyed with a glass of fine Crystal, or wine and cocktails. Photo: Anders Thorsell.